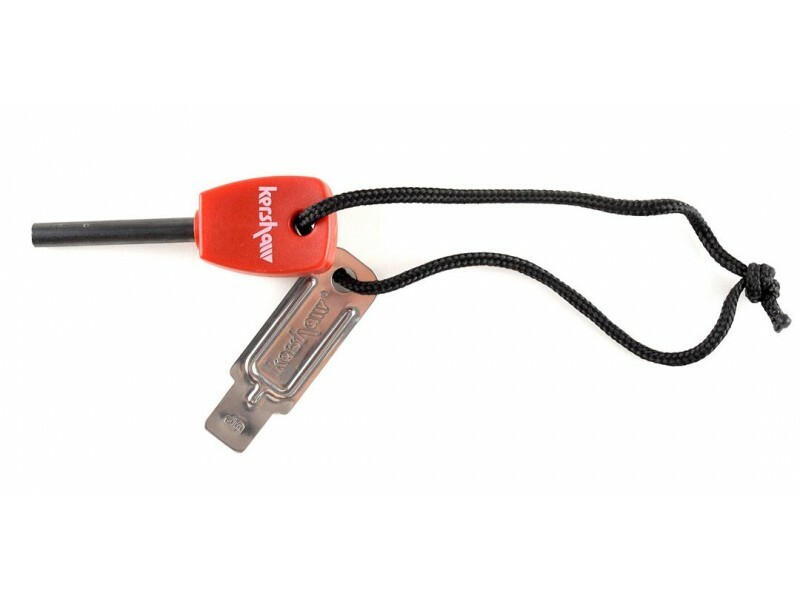 • Important tool in any pocket, backpack, tackle box, bug-out bag, dry-box, survival kit, car or drawer. 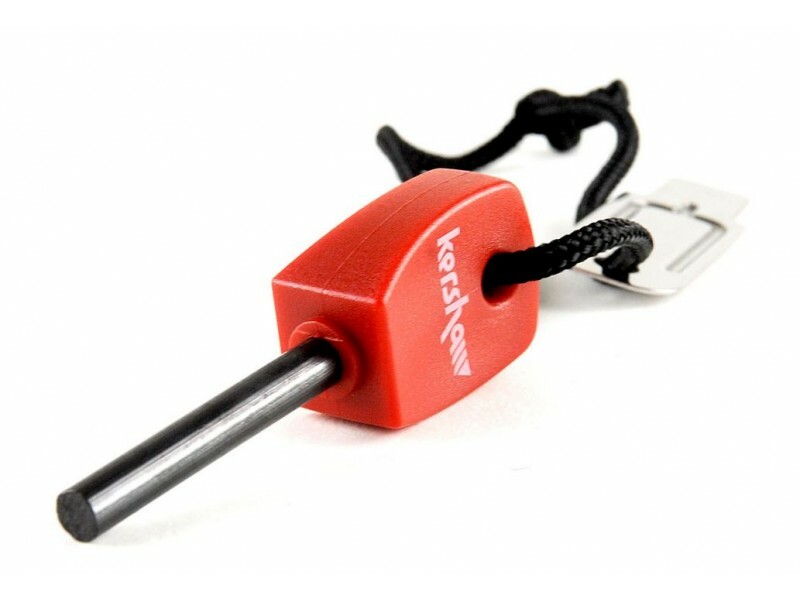 Kershaw Fire Starter is an important companion for any hiker, hunter, camper, backpacker, wilderness guide, survivalist and home emergency kit. 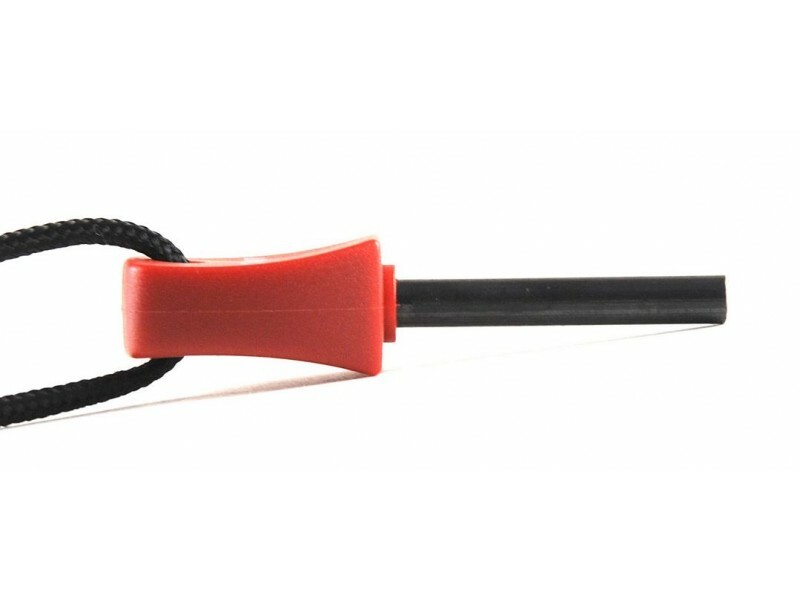 Its high-performance magnesium fire steel shaft is good for up to 3,000 strikes. 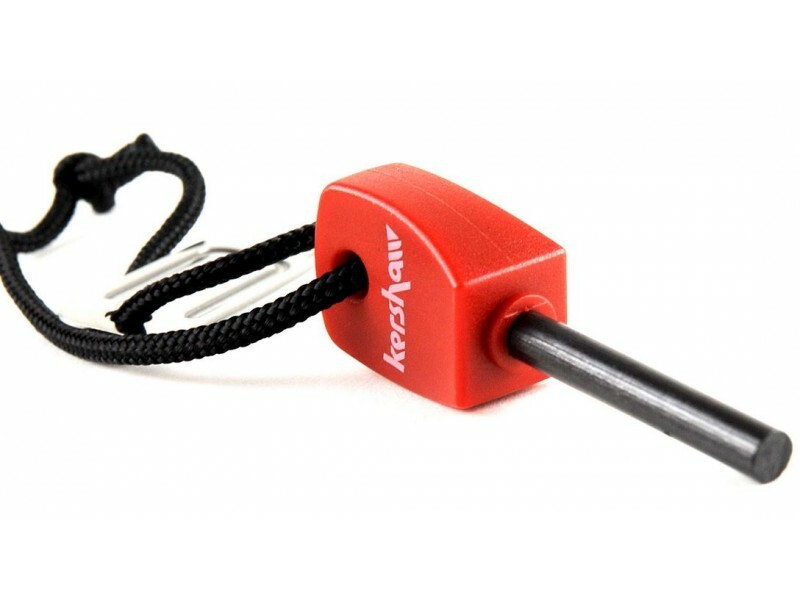 It can create a spark in rain, sleet, snow and any other harsh natural conditions and includes a chrome-plated steel striker for easy, hassle free operation. 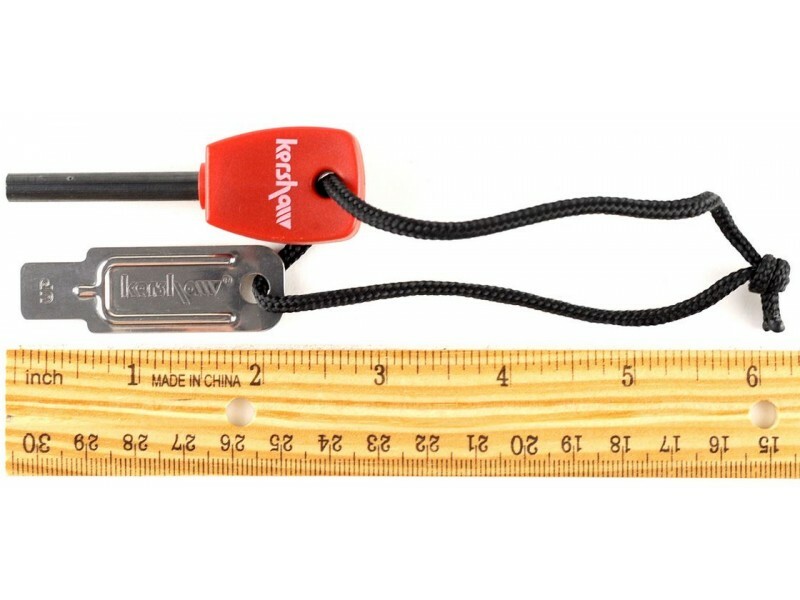 With its compact design easily fits in any pocket, backpack, tackle box, bug-out bag, dry-box, survival kit, car or drawer. 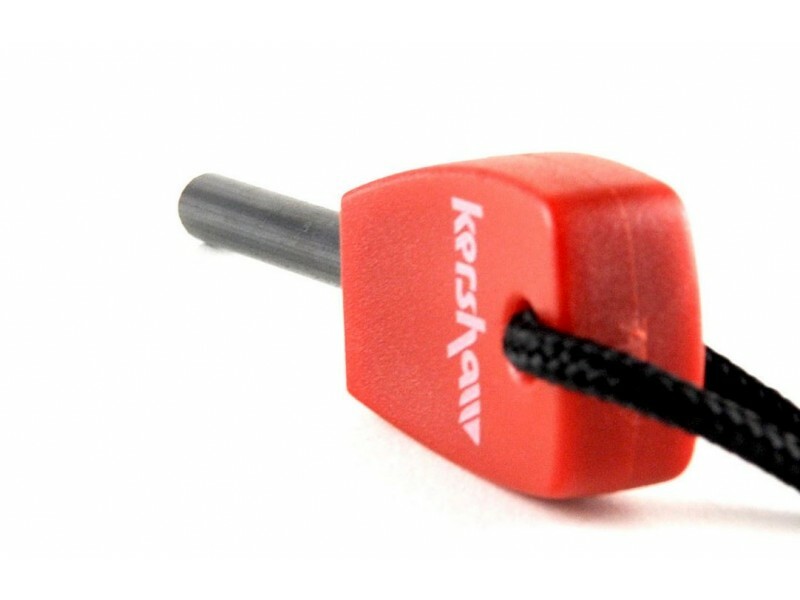 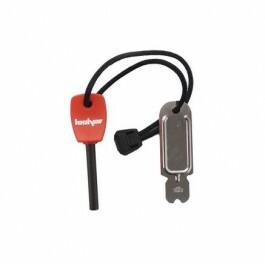 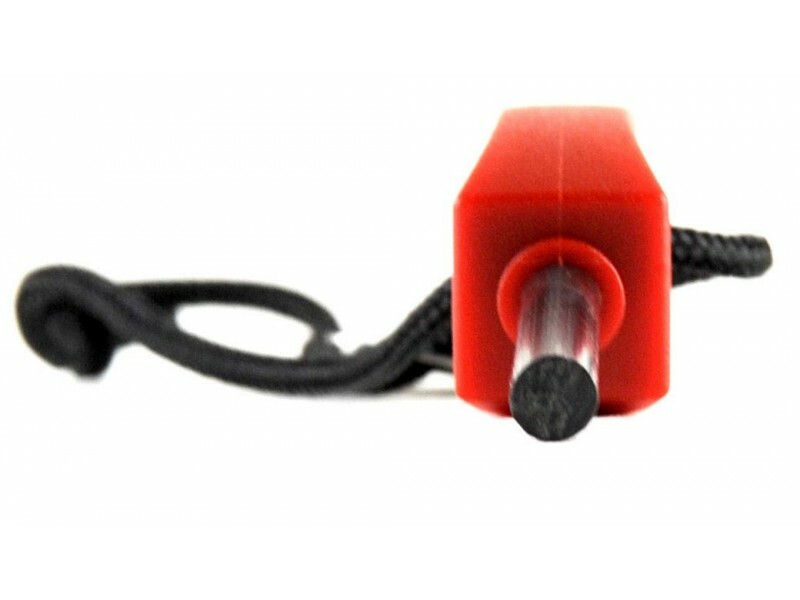 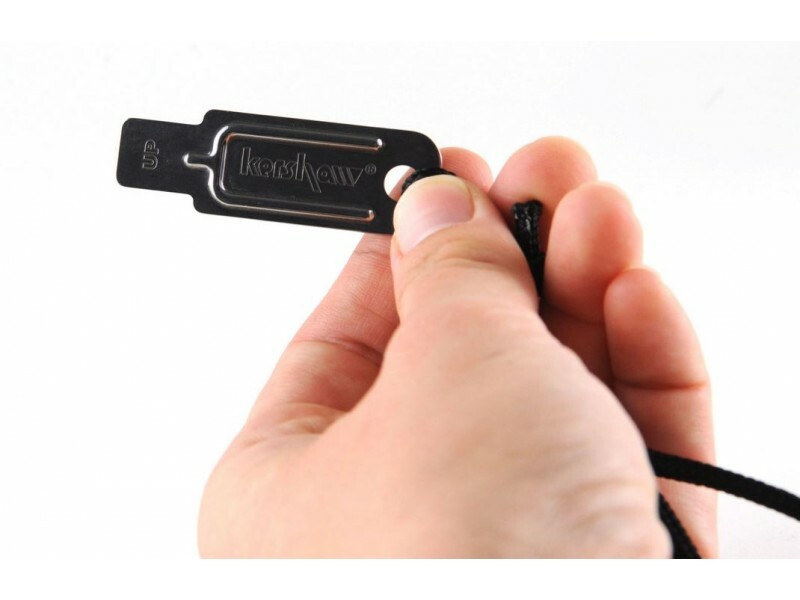 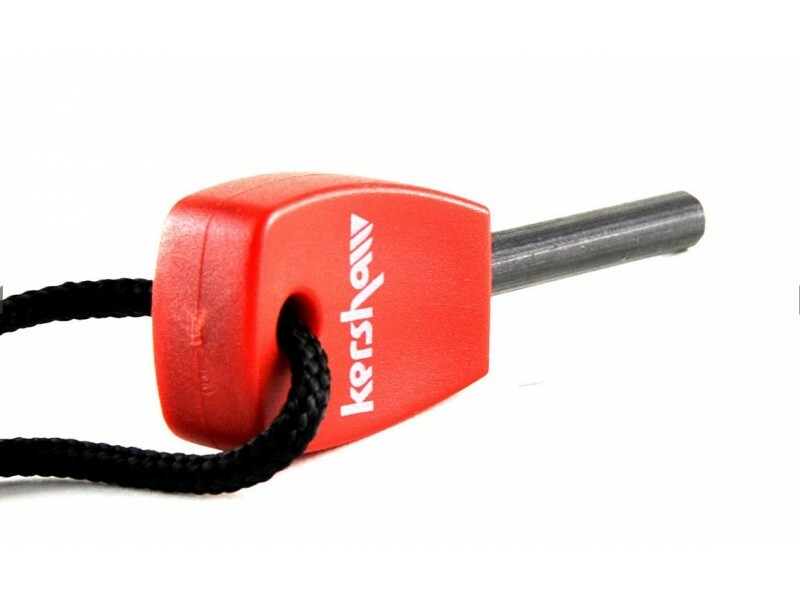 The Kershaw Fire Starter can also be used to light camp stoves, gas grills and as an emergency signal if necessary. 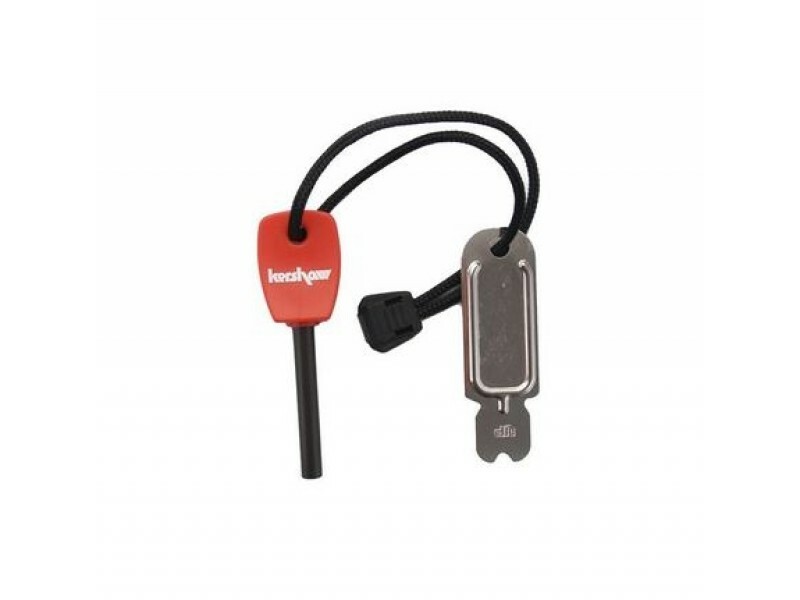 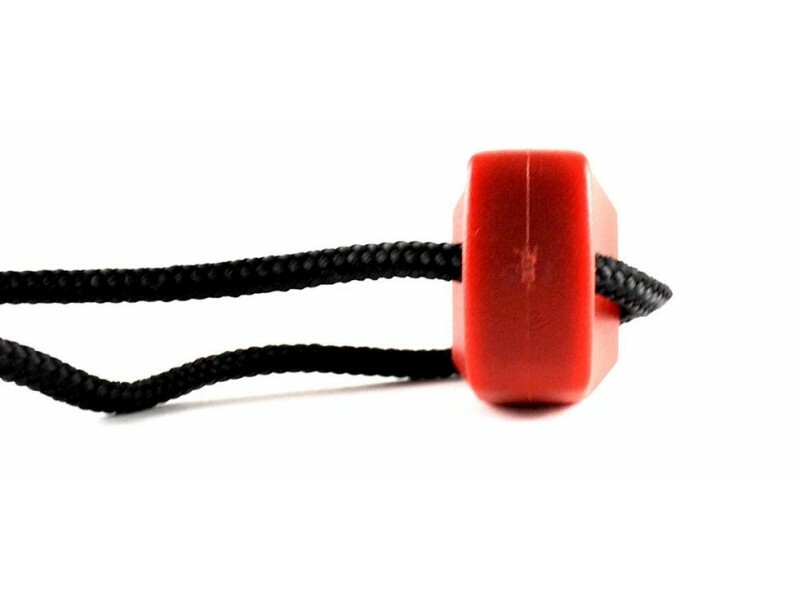 You can easily attach the Firestarter anywhere with the included high-strength nylon lanyard. 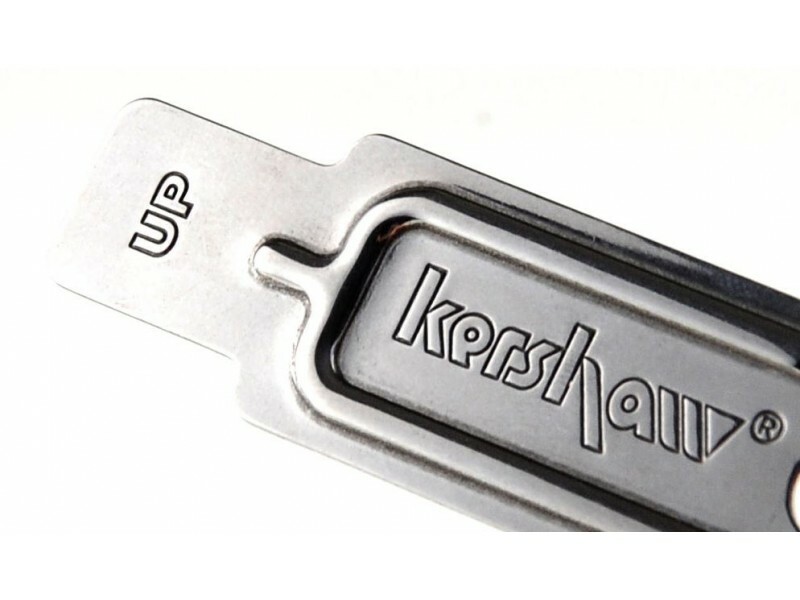 Kershaw Fire Starter is easy to operate by holding the striker at the top of the firesteel shaft and quickly drawing down at a right angle to produce a spark. 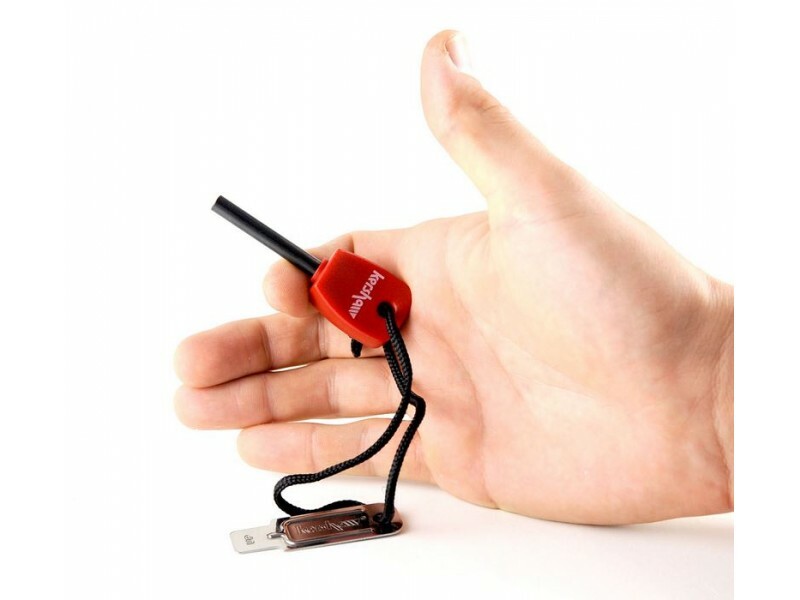 It is not only affordable, it is more reliable and more durable than waterproof matches. 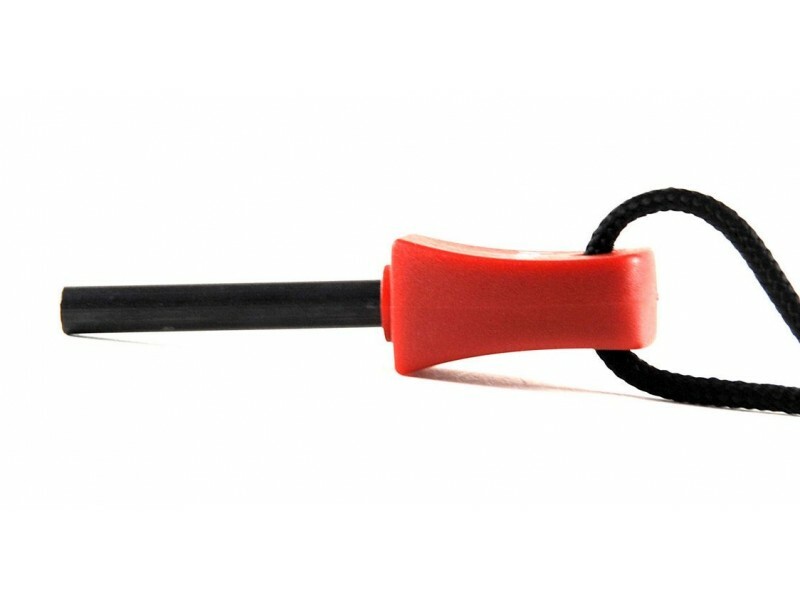 Long lasting firestarter perfect for emergency kits, shelters, automobiles and survival bags.